I spent the last weekend celebrating the marriage of two wonderful people, having known the groom all of his life and watched him grow into an incredibly smart, funny and genuinely nice person. His older brother – a talented musician and sensitive soul – was married 6 months ago, giving our group of friends an opportunity of double celebrations in a short time. 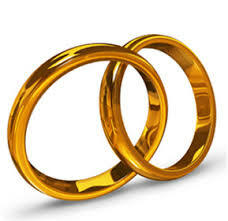 However, it is sobering to reflect on the state of marriage, at a time when divorce rates in the U.S. hoover close to 50% and the probability that 43% of first marriages in the U.S. end within 15 years, especially in light of attending two weddings in recent months. I don’t want to think that either will become victim to these statistics. I enjoy sifting through data and was intrigued by a so-called marriage calculator that predicts the odds that your marriage will last. Admittedly, this is a very broad and generic sort of calculator, but it piqued my interest. I plugged in my information and was comforted to learn that only 27% of people with similar backgrounds have already divorced. However, it’s hard to find joy in my long-term marriage when I know many have had to endure divorce through no fault of their own. As I enjoyed the recent wedding celebration, I remarked that it was rather amazing that our group of friends seem to be bucking the trend and staying married. I did a quick calculation to compare with the national numbers. The collective divorce rate of our friend group is close to 15%, a significant deviation from the norm, but, why? This particular circle of friends is comprised people who go back as far as elementary school and their spouses – a group of lifetime pals who have remained close over the years. I haven’t ever seen a “friend calculator” but am guessing that it’s somewhat unusual for a group to remain connected for decades. Digging deeper, I talked with these friends to help identify reasons that might explain how our group has beaten the odds, dipping way below the divorce calculator figures. One theme that kept coming up is the strong, persistent and supportive relationships we’ve cultivated as individuals, partners and a group over the years. Could it be related to the big rock theory as it relates to relationships, as our friend-coach likes to remind the group? 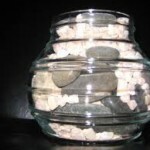 If you take a glass jar and put a big rock inside, you can still put lots of little pebbles in before reaching the top. 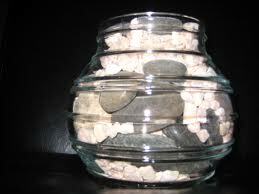 But, if you put the same pebbles in the jar at the beginning, you won’t be able to fit the big rock into the jar. The bottom line is that you need to put the most important things – or, the big rocks – in first. Our close-knit group places high value on relationships and demonstrates a resilient interconnectedness. I believe we’ve established a big rock in the bottom of the jar. What’s causing the divorce rate to remain high is likely a combination of interrelated and unrelated factors: a partner breaking the trust, one or both may not be willing or prepared to work through the tough times, not having access to support networks and role models, accepting the limitations of relationships, wanting different things on different terms. Technology has made communications, staying in touch and reconnecting easier versus 10-20 years ago, but deep, meaningful relationships take work and commitment. 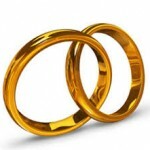 Marriage vows are the beginning. The road can be bumpy and there are no guarantees, even when you do everything the best you can. Putting the most important things first – the big rocks – can only help your odds. Good luck to my newly married friends. Find your big rocks and take good care. Janet Walkow is the Executive Director and Chief Technology Officer of the Drug Dynamics Institute at The University of Texas and a co-founder of Leading Women. Read her full bio.